Let’s explore some common (popular?) 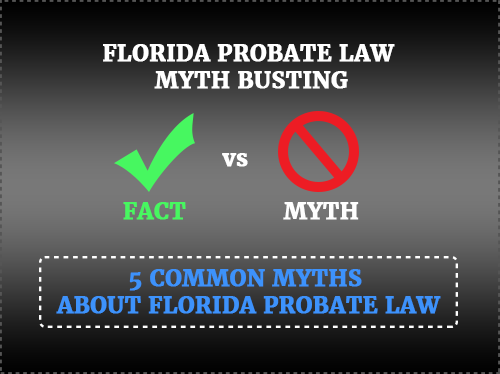 myths about Florida probate law shall we? 1. Mom had a Will so we don’t have to go through probate. Unfortunately, dying with a Will (Testate) has no bearing on whether or not probate is necessary. The decision to probate an estate rests solely on the existence of assets that are “locked” or otherwise held for lack of authority. A Last Will and Testament serves as instructions and guidelines for the proper administration of a probate estate. If you die without a Will (Intestate), then the Florida Statutes determine how the probate estate is administered. 2. I am dad’s power of attorney so I can transfer everything without probate court. A Power of Attorney is effectively void on the day that the grantor dies. So when your dad died, the POA he granted to you died as well. In the probate world, there are no POA’s. You are either appointed as the Personal Representative/Executor by the probate court or you aren’t. A POA has no authority to transfer assets after the date of death. 3. 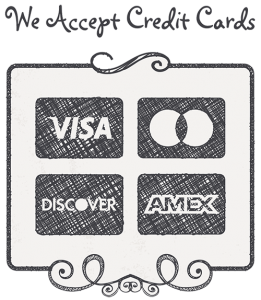 There is so much credit card debt that the house will be taken anyway. This is one of the biggest myths out there. In Florida, your homestead residence is heavily protected while you are alive and also receives protection from most creditors after you die. The only potential creditors who can touch your home after you die include any mortgage lender/bank that has a loan against the home or the IRS. If the only assets is the homestead, you can usually proceed with probate administration with very little concern for creditors. 4. If I don’t probate the estate immediately, the State will take all of the property. This is simply not true and doesn’t really deserve much discussion. 5. My parents had a trust to completely avoid probate. This isn’t patently wrong on its face. The problem is the trust must actually own the asset to have any control over it. If there is an asset that is not in the possession of the trust, and it remains in the name of the deceased, a Florida probate administration may very well be necessary. Have any other probate myths you’d like us to dispel? Contact us today.